Instagram, YouTube, Facebook and Twitter are full of influencers and new ones are popping every day. However, it is extremely easy to buy your way to success by purchasing fake followers, likes and comments. Some websites allow you to buy 1,000 followers for as low as $5 and fake influencers can easily trick brands into believing their audience is real (as shown in this study by MediaKix). 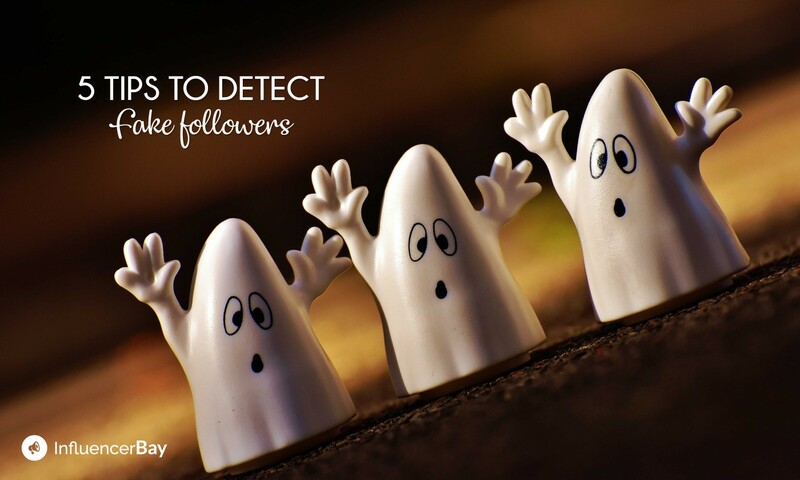 So, how do you know whether someone has fake followers or not? Here are 5 signs that should raise an alarm bell. 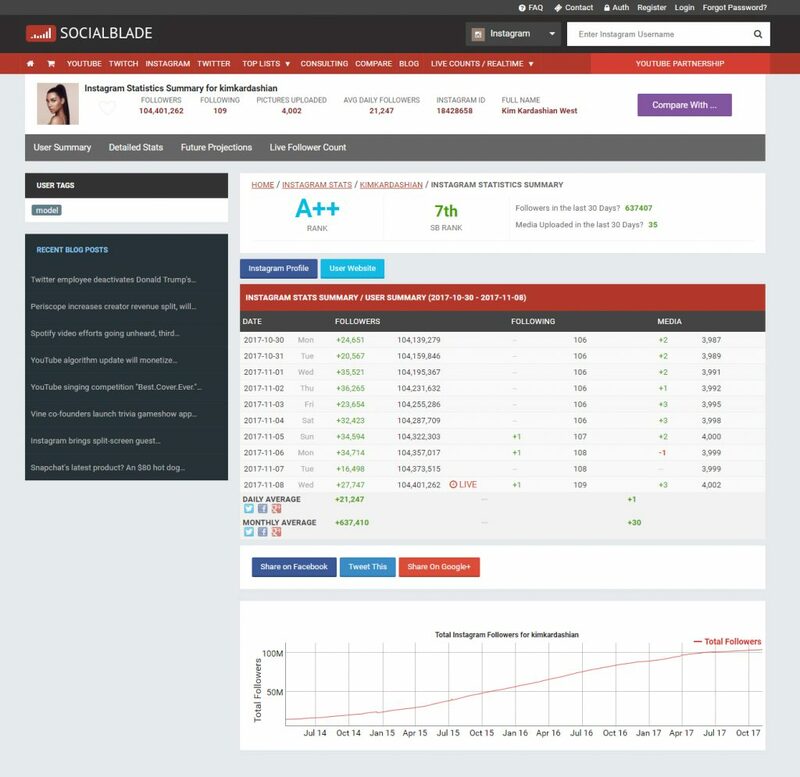 Use SocialBlade.com (for Instagram, Twitter and YouTube) to see charts showing the follower count history. For Facebook, you could use FanPageKarma.com (it’s free but you have to signup). There might be spikes but you can usually link them to events like a post buzzing or someone featuring the influencer. 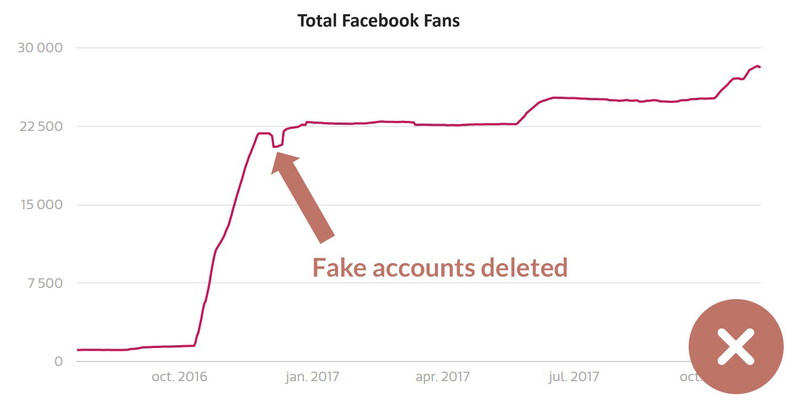 Sometimes, even a smooth curve can describe a fake audience: if someone with 5k followers is gaining 1k followers a day, you have reasons to get suspicious. The original picture was featuring a watch. Those are obviously generic comments (“Nice”, “Wow”) and could be written about any picture. Chances are they have been bought and are from bots. 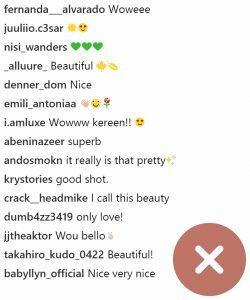 One thing you can check is the profiles of those who liked or commented the influencer’s content. Of course, it would be hard to check everybody but pick random accounts and try to evaluate if they seem legit. If the influencer didn’t buy likes and comments from bots, he would expose a very low engagement rate (number of likes and comments compared to the number of followers). The engagement rate can range from 5-10% for micro-influencers to 0.5% for superstars. You can learn more about the difference between micro and macro influencers in another article we wrote. Sometimes, you see an account that has a huge number of followers and a very poor content. For instance, the content may be exclusively made of selfies shot from literally the same angle every time (I’ve seen this on an Instagram account with 1m+ followers). We subscribe to a page because we like the content we see. How do you explain a massive audience brought from poor content? It’s either you don’t get the value of the content (maybe the influencer is a celebrity you don’t know and his selfies are enough to bring people in) or there’s something wrong with the numbers. 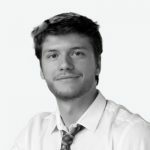 Following lots of people doesn’t mean that the influencer has fake followers (it may be a good way to start and get people’s attention) and it can be a legit way to get your first followers but it might also indicate that the content’s value was not the only reason why people followed him in the first place. There’s really no way to be 100% sure whether someone has fake followers, none or a mix of fake and legit ones. If there was, the social networks would fix the problem instantly. So the best thing you can do is to check the influencer’s engagement rates and to use the tips above to make an educated choice!